A Little Bit Crunchy A Little Bit Rock and Roll: Storm Troopers? Beer? Together?!? 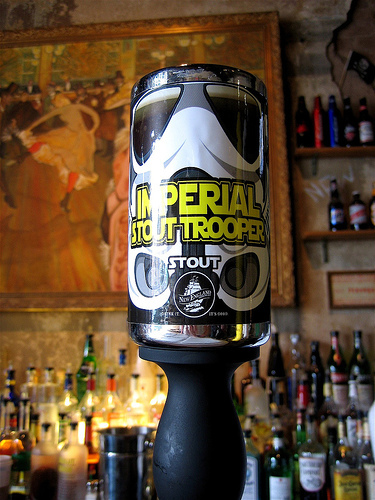 Is there really a Star Wars beer out there? I know I'm a day late and a dollar short with this story..... but I've just discovered this and the images bring me great joy. 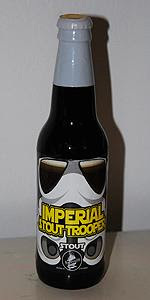 This is a Russian Imperial Stout. 8.50% ABV. BeerAdvocate gave it an overall rating of "A", "outstanding". 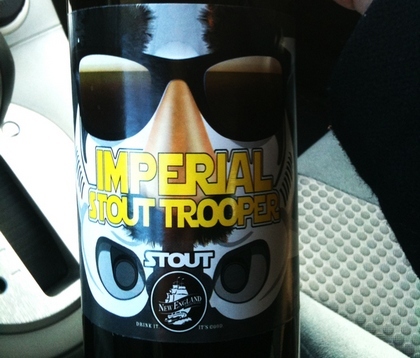 Would you really expect anything less from a beer with the name 'Stout Trooper'? So what's 'the dark side'? 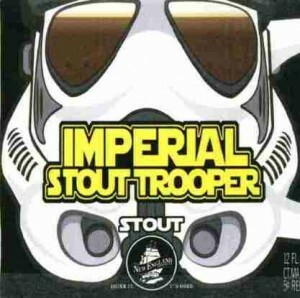 Apparently the brewer at New England Brewing Co. received a 'cease-and-desist' letter from the legal department of George Lucas and his film company. So what did they change the bottle to? Sorry if this is old news to some of you beer lovers out there. I know it all happened over two years ago. ....and this makes me sad. That is one bottle cap that would have been a MUST HAVE for my son's collection!